What must affected beneficiaries do? Beneficiaries subject to the requirement must demonstrate completion of 80 hours (each month) of community engagement activities. Otherwise, they will lose Medicaid coverage. Beneficiaries can fulfill the requirement through a combination of employment, education, job skills training, or community service. At bottom, the community engagement requirement is aimed principally at indigent, able bodied adults who qualified for Medicaid under the “expansion” program included in the Affordable Care Act. Why did CMS approve of it? According to CMS’s approval letter, the requirement will “promot[e] improved health outcomes,” increase “individual independence,” and “reduce reliance on public assistance.” Citing section 1901 of the Social Security Act, CMS stated that the policy also “aligns” with the statute’s goals of attaining or retaining independence. In addition to the approval of Kentucky’s waiver, CMS has recently signaled its willingness to broadly approve community engagement waivers and has provided guidance to other interested states. What do critics say? Many commenters urged that Kentucky’s requirement (and similar waivers in the pipeline from other states) are unlawful under the Administrative Procedure Act (APA). Principally, critics contend that the requirement is invalid or unwise because (1) it fails to promote the objectives of Medicaid (e.g., because it will have the effect of dis-enrolling and harming large swaths of people that Medicaid was intended to protect), (2) CMS failed to adequately seek and consider objections (including those of Native American tribes), (3) it is merely a cost-saving measure that lacks any research or demonstration value (given similar, previous research), and (4) it otherwise exceeds CMS’s statutory waiver authority. See e.g., Beno v. Shalala, 30 F.3d 1057 (9th Cir. 1994). 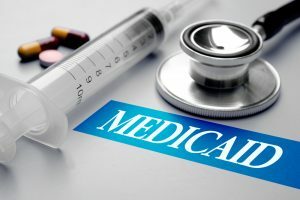 Critics have observed that the requirement will likely impact chronically ill beneficiaries who might not be able to satisfy the requirements. Opponents are lining up lawsuits to challenge the use of a work requirement as a condition of eligibility for medical coverage; one such Complaint was recently filed as a federal class action by the National Health Law Program and others. Is your state next? Nine other states have proposed work or community engagement requirements, including Arizona, Arkansas, Indiana, Kansas, Maine, New Hampshire, North Carolina, Utah and Wisconsin. While the proclaimed health benefits of adding a community engagement obligation are speculative at best, there is a demonstrated correlation between the loss of health insurance and the increased likelihood of death or illness stemming from the lack of insurance. Did CMS waive other requirements? CMS’s Kentucky waiver also waived, for many populations, the long-standing Medicaid statutory requirement of (three months’ of) retroactive eligibility for newly enrolled members. This too will likely increase uncompensated care costs of Kentucky providers. Our post on a similar retroactive eligibility waiver issued to the Iowa Medicaid program is available here. CMS will likely approve (and other states will likely seek) similar waivers.